Venus Smileygal: Welcome Back Giveaway From Firmoo Glasses! Welcome Back Giveaway From Firmoo Glasses! Happy Easter Everyone! Did you enjoyed egg hunting? As a little welcome back gift to everyone. I am hosting a giveaway... You probably have an idea by now on what's going to be the prize looking from the images in this post... :D Firmoo was generous enough to host a giveaway for you my readers. So I am very thankful to them. I have been a fan of Firmoo glasses since I first discovered it 4 years ago. Yes that long already and I am still using the glasses I received from them and they are still wearable til now. I telll yah, they are very durable and stylish! 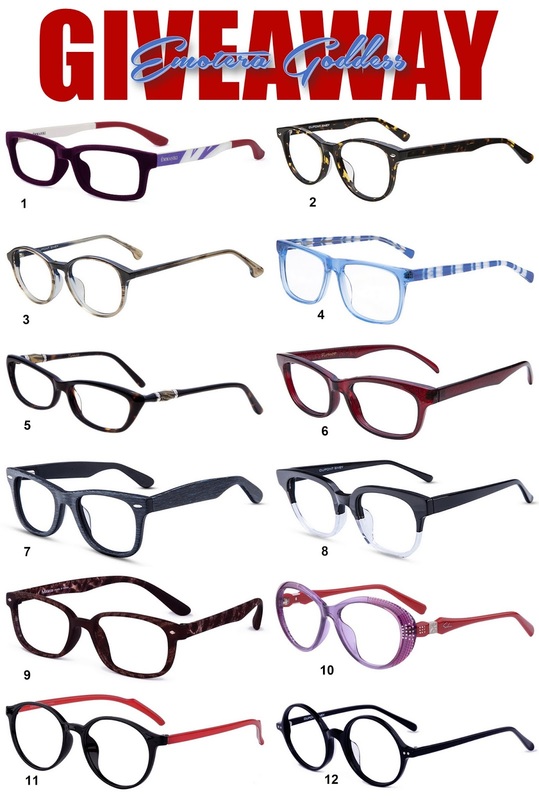 Five winners will win complete pair of glasses as specified below. The prize will be offered in the form of voucher after your giveaway end. This voucher covers the frame with 1.50 index single vision lenses. The winner need to pay the shipping depending on the country and handling fee. This giveaway is for new customers only. It is open to countries to which Firmoo ships. Please check to see if you are eligible here. I like #4! Great prize! Firmoo glasses are awesome, I'm wearing a pair right now! Welcome back and true, this is an awesome way to come back, I heart firmoo specially their prize,xoxo BING. Great sunglasses girl! Thanks for sharing! Have a fabulous Wednesday! I like #7. Thanks so much for the chance! ohhhh this is cool! I've used them before. 8 and 11 look so fashion, elegant and intelligent. I'd love to get them. Hello! I'm back after some time "on the road", and now more settled, it's good to read your blog again! These glasses are fabulous! I love frames, I have to wear glasses at home! Well, the post is from March 27th, hope you are fine and waiting for a new post now! Wishing you a nice Sunday! Really nice frames, cool contest. Cool glasses! I wish you all good luck! NEW POST ON MY BLOG:"EUROVISION 2016: MY FAVORITES"